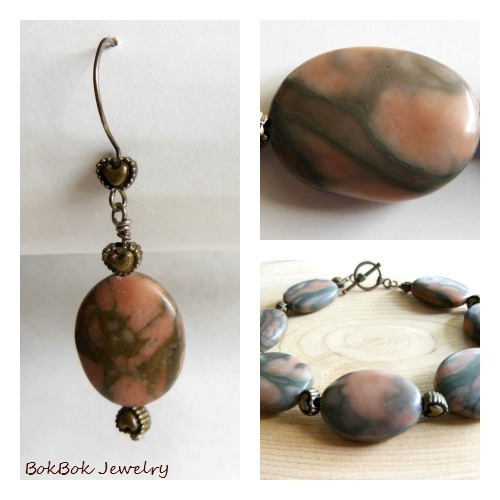 I used canyon marble and antiqued brass beads and findings to make this matching bracelet and earring set. The marble beads are flat oval shapes, and the brass beads are heart-shaped. I made the ear wires myself with antiqued brass wire.